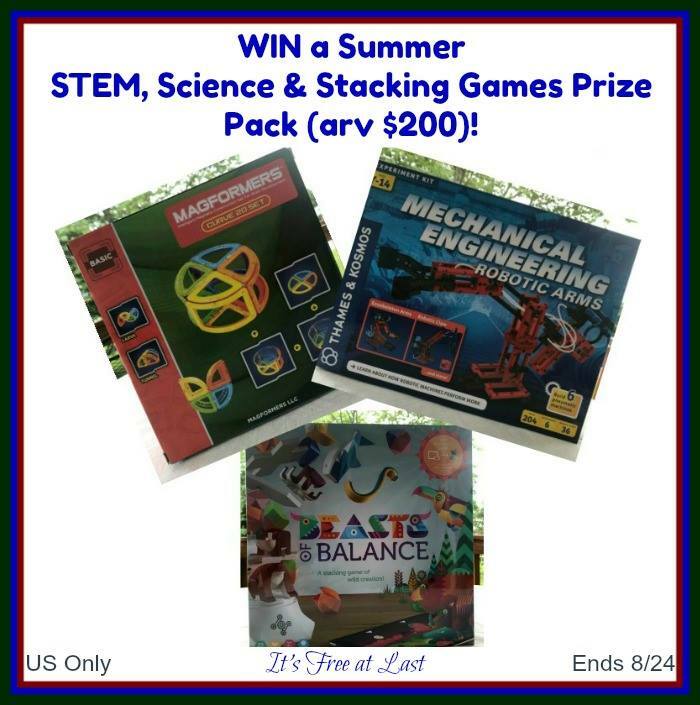 This is a different kind of back to school giveaway where the prize is some games, but their educational in nature. The giveaway is US only and ends on 8/24. Fun games. Great giveaway. Good luck. 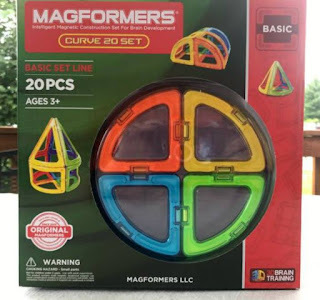 With the fun Magformers Magnetic Toys your child can design and build organic structures with curved 3D magnetic shapes! They will love the all-new Curve 20Pc Set from Magformers. It comes with six geometric shapes, use Squares, Arches, Sectors, Cones, Spheres, Super Arches and Super Sectors to build balls, towers and so much more! Create free-form structures and combine your design with all Magformers shapes to see where your imagination will take you. 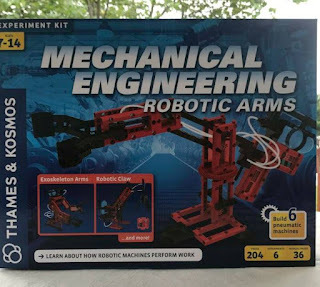 With super fun Mechanical Engineering Robotical Arms from Thames & Cosmos your child can build six mechanical models of the types of arms, grabber claws and legs found on robotic machines. 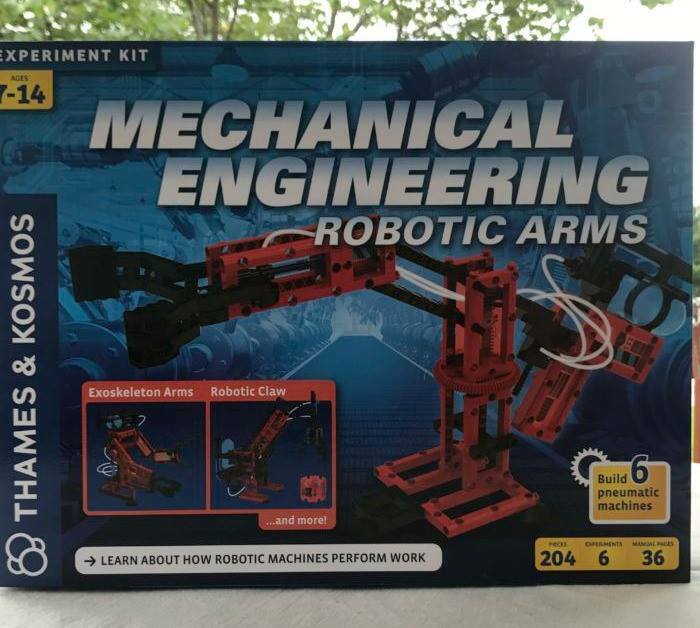 Your child will have the opportunity to explore mechanical engineering principles firsthand as they assemble and play with the working models. 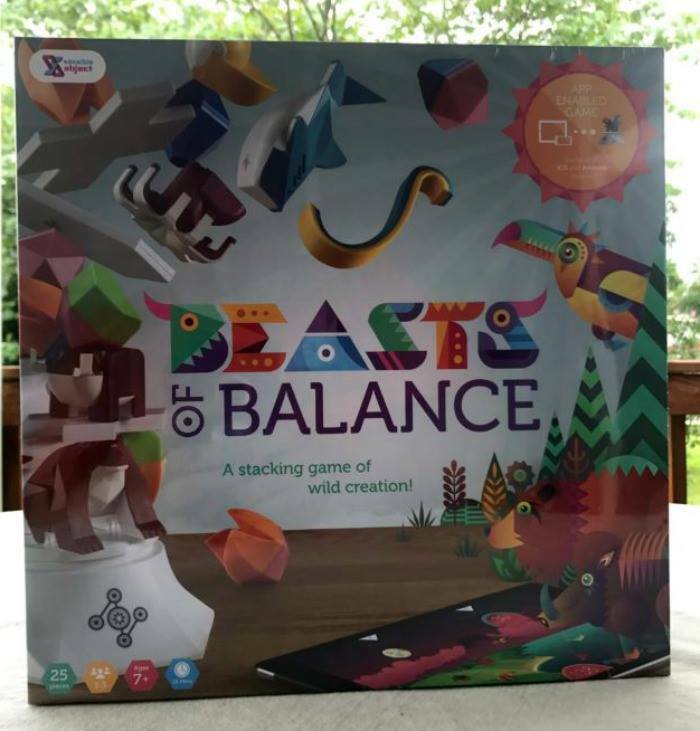 An award-winning augmented reality stacking game of dexterity, strategy and creation. Players take on the role of Divine Creators, tasked to play solo or with friends to build worlds and reach high scores by stacking magical Artefacts into incredible towers. But this is no standard dexterity game – everything added to the tower interacts with a world that evolves on a wirelessly connected digital device. To succeed, players have to keep their tower and the ecosystem of their world in balance, stacking all 24 pieces and caring for the virtual beasts they create. Be sure and read Kristin's full review here on these fun STEM, Science & Stacking Games! Then, we have a FABULOUS Giveaway opportunity for you! Ready? Let's go! STEM, Science & Stacking Games Prize Pack (arv $200)! Includes ALL 3 FUN GAMES!!! Giveaway ends 8/24/17 at 11:59 pm ET! Open to US residents 18+ and older. I think they'll like the Magformers. I think my daughter would like the mega formers but my niece would love the robotic arm. They would like them all, but probably want to play with Beasts of Balance first.